Rivers are flowing bodies of waters. There are rivers on every continent (except Antarctica). A river basically, has three parts. We call them the courses of a river. This lesson on river landscape (also called riverscape) explains to you about these courses or stages of a river and their wildlife. Most rivers begin in hills or mountains. Rivers flow down to the sea and end there. Many plant and animals live in or near rivers. 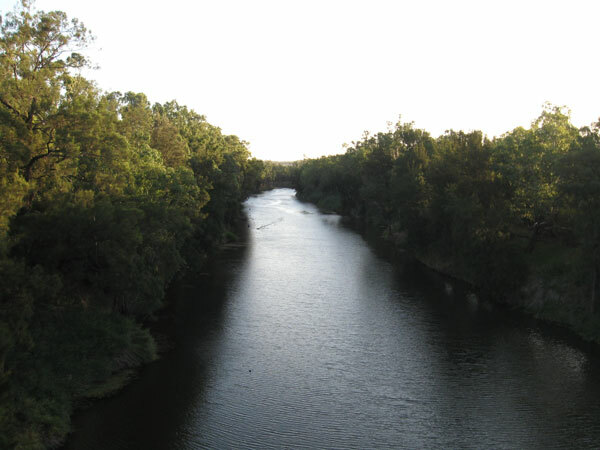 In this lesson we are going to learn about the courses of a river and their wild life. The upper course of a river is often in steep, mountain areas. This section of a river is cold, clear and fast-flowing. It has a very steep slope. When the river flows down through the upper course the river channel becomes narrow. This creates vertical erosion forming a V-shaped valley. Waterfalls are also, usually formed at this stage. 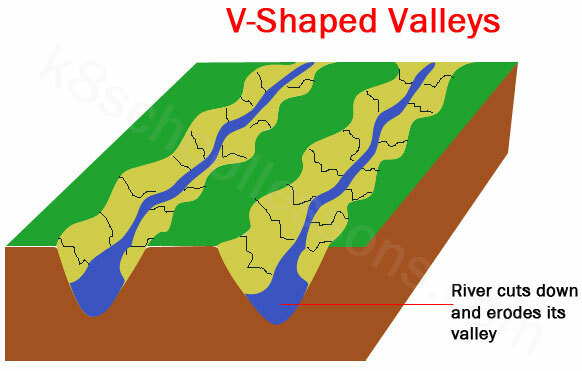 Rivers with steep slopes form valleys with steep walls and a bottom. Valleys formed by shallower slopes may be broader and gentler. Rivers often meander (follow a winding path) along their middle course. It is less steep and has a moderate flow of water. The bottom becomes a mixture of silt and gravel. We call this deposition. At this stage small meanders or bends and small flood plains can be formed. Oxbow lakes may also be formed. The Lower Course is where the river flows gently because of its gentle slope, and also it looks like a lake habitat. This winding lowland parts of a river contain muddy, slightly warmer water, which flows more slowly. Plants grow in the bed of the river and at its edges. It also contains a deposition. Large meanders, large flood plains as well as oxbow lakes can be formed at this stage. Hope you’ve enjoyed learning about river landscape!